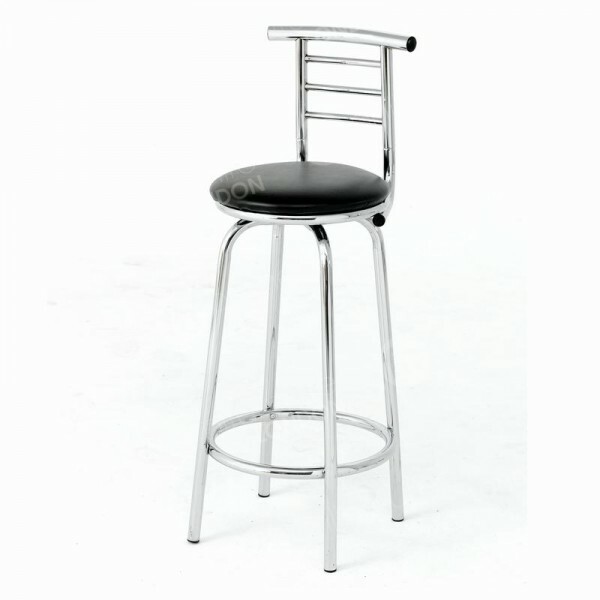 The black leather seat and chrome frame make a really stylish and memorable impression on anyone that uses this stool. The ultra-modern design results in a very attractive product that is also very comfortable to use, thanks to the padded seat and footrest. It complements all your modern venues and events, from corporate networking to classy receptions. If you were to compare the first types of stools ever made with our Ruby leather and chrome stool, it might be hard to see how ours is a development of those early additions! Because stools have been in use for such a long length of time, historians aren’t quite sure when they were actually invented. The initial types were probably fashioned from objects in the immediate environment, such as rocks and wood. Some experts in the field explain that stools as we know them today were likely created in ancient Greece and popularity spread across the world from there. At first, both chair and stool use was confined to those in power or the military, it’s unlikely they would have been found in homes and business premises. But this all began to change from around the 1300s to the 1700s, when seating became much more affordable to the general population and the connection between it and ruling powers weakened. In the 1600s, the overall design of stools began to change and became distinct from chairs, as backs became more common, while stools tended to be more simplistic with three legs topped by a sitting surface. Also around this time, creators were able to manufacture them using newer joinery tools, giving rise to different shapes of stools. Wood remained popular for all types of furniture for many, many years, with the 17th Century seeing a rise in the inclusion of leather and other materials, leading to more ornamental designs. It wasn’t until the 19th and 20th Centuries where there was an influx of new materials and technology that were used to create exceptionally innovative and unique stools. Our Ruby leather and chrome stool is one example of a very modern product, and has all the elements expected of a 21st Century hire stool! Chrome is a very chic finish, and is often favoured by our London clients who want a really contemporary vibe in their bars, restaurants, hotels, cafes and events too. The black leather is classy, but it’s also exceptionally comfortable too - because it’s padded. Backs were not added to stools for many years, and when they were, the finished product resembled chairs more so than stools. Our stool hire range all feature backs, so you can choose from products that not only look great but offer a pleasant seating experience too. If you wanted to take your event outside then why not take a look at our bar stools in aluminium, which are weather resistant. Our Ruby leather and chrome stool, has a high back with a chrome finish that matches the rest of the product, while the footrests ensures additional comfort too. All these features combined with the overall look of this product line means you get super stylish seating for all your venues. When you require tables, our chrome poseur table is an excellent choice, matching the cool, contemporary vibe offered by our stools. 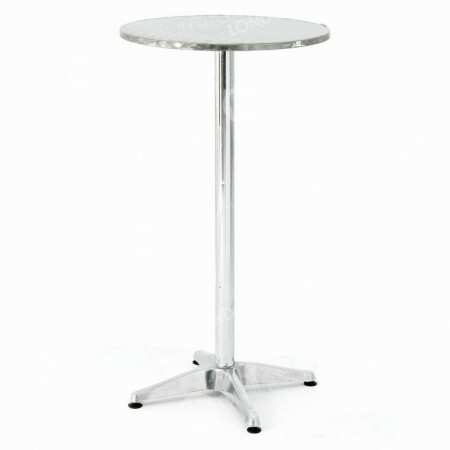 Do you have tables available that match these stools? Yes, we have lots of different products suitable for our stools. To provide a chic eating surface, opt for our chrome poseur tables, for a VIP feel to your venue we also have red carpets and ropes and poles. I’d like to hire comfortable stools for a premium event - would these suit my needs? Yes. They have a very sophisticated and contemporary design thanks to the curved chrome frame and the black leather seat - perfect for those high end occasions.